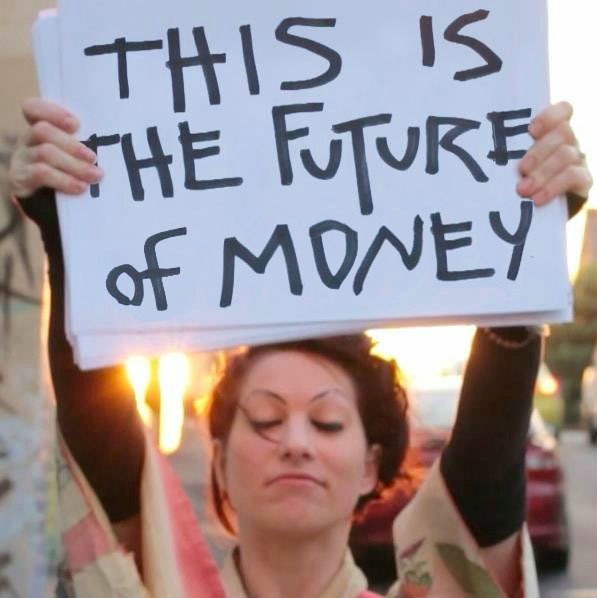 If you have eyes, or ears, or both, and you like new music, you’ll have heard all about the fuss surrounding noisy, all-pervasive, social-media devouring rock star Amanda Palmer and her new tilt at the whole “getting money” thing. There are a few ways to make money (money that could buy you – oh, I don’t know – a cheap iPod touch) in music, but they’re all tough. This is well documented, although it is possible – from advertising, sponsorship, getting music placed in adverts, but this was a paradigm shift, yeah? All of sudden, everyone owned a bit of an artists’ aims, dreams and proclamations. So it was inevitable that when someone suddenly became a millionaire, and then asked fans to play for free, people would display quite strong opinons on the matter. Again, you’ll probably know them by now, but anyway: here’s Steve Albini’s lumbering and brutal take, whilst good friend of ANBAD Louis Barabbas has a more considered opinion. Whatever your opinons on Amanda Palmer or her music (mine: a large, considered meh), you can’t help but admire her tenacity. But a millionaire musician deliberately choosing not to pay fellow musicians is a mis-step, to say the very least. BUT HEY! – she’s made a minor U-turn and is paying them now, so that’s OK, right? i hope this does two things: i hope it makes the volunteers surprised and happy (they’ll be getting some dough they had no idea was coming) and i also hope it makes our family circle feel good about speaking out. This is tiresome: it reinforces the terrible idea that musicians should be grateful for receiving any money at all. And they shouldn’t, just as painters shouldn’t, just as writers shouldn’t, just as artisan wood-lathe sculptors shouldn’t: they simply *should* be paid, if their work is consumed. Yet the nasty lie remains, and an artist like Amanda Palmer, publicly-funded millionaire or not, should know this most keenly of all. Because whatever your opinion on musicians making money (money, remember, that is useful when you realise that – oh, I don’t know – high street retailer Argos provides Acoustic Solutions), I’ll wager a penny to a pound that it boils down to this: the extreme opposite of getting paid is being taken advantage of. People who get taken advantage of eventually have enough. And a brain drain of musical talent fuelled by hypocritical stinginess would be the worst thing to happen to music since The Pigeon Detectives. Posted on September 30, 2012 by Joe Sparrow. This entry was posted in Featured, Featured Articles, Headline. Bookmark the permalink.